Remember when school would send you a summer book list so you didn’t idle your vacation days away? Although those days are long gone for most of our staff (save our interns), we love that we can now spend our summers reading anything we please! 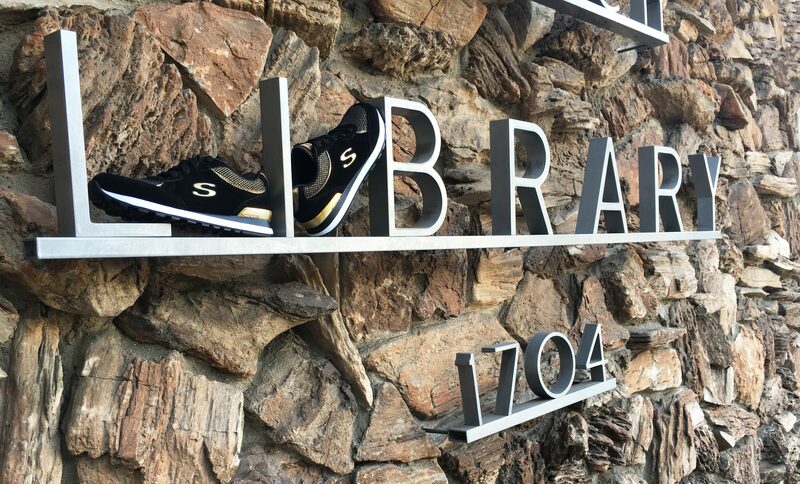 We asked our Skechers crew what they’ve been reading, and discovered some delightful surprises. Take a look and see if any sound like fun books for the end of summer! Two new riveting and weird books out August 2 with multiple POVs (points of view) will offer intense poolside reading or keep you up late! Harmony (by Carolyn Parkhurst, The Dogs of Babel) follows the Hammond family as they leave their life and belongings behind to help genius and impossible daughter/sister Tilly as they set up Camp Harmony with a domineering and manipulating child behavior expert. The story unfolds with swear words and humor as told by Tilly, sister Iris, and mom Alexandra. Watching Edie (by Camilla Way) is a psychological suspense page-turner as the lives of two childhood friends are revealed–one from “Before” as told by Heather, and the other from “After” as told by Edie. The twists and turns can be unsettling as this dark friendship unfolds in this story of the unpopular and popular in a depressed British town. Fredrik Backman’s protagonist Ove is my father if he were Swedish, worked on trains and loved Saabs. A Man Called Ove is warm and uplifting as well as tragic and heart-wrenching. A curmudgeon, Ove sets out to off himself from the first chapter as he wishes to join his recently deceased wife. But each time he tries, he is interrupted, until it gets to the point that Ove becomes a much needed man–even though he tries his hardest not to be. Ove proves one small act–intended or not–can have a positive impact–sometimes life changing. Bonus: New York Times Bestseller list. Mitch Albom’s Tuesdays with Morrie is a great read. It teaches you some really cool life lessons, different views between generations and the importance of appreciating the little things in life rather than getting caught up on the idea that money brings you happiness. I’m reading J.K. Rowling’s Harry Potter series with my six-year-old daughter. It’s like reading them for the first time again! I’ve been reading Bad Feminist by Roxane Gay. She has such amazing insight on critical social issues, and a gentle but perfectly sarcastic voice through which she shares her stories and opinions. Marvel’s Civil War II. I haven’t read comics in a long time but now that I can conveniently follow on my tablet, I’ve found myself feeling like a kid and suddenly sucked back in to the latest transformative crossover story involving the Avengers and company. Humans of New York Stories by Brandon Stanton. The latest book added to the HONY series features eye-opening stories from people all over New York City. The book is equally moving and uplifting, perfect for a trip to the beach or a long plane ride. Most of my current reads these days are children’s books during my kid’s bedtime. We love Countablock (Christopher Franceschelli and Peskimo’s beautiful book with vivid, creative drawings that take you from 1-100)… Margret & H.A. Rey’s Happy Easter, Curious George (for us, it’s Easter all year round!) and Don Freeman’s Corduroy, a touching story about a toy bear who lives at the store and the adorable girl who wants to buy him. So many on my list! I’ve been meaning to read Anthony Doerr’s All The Light We Cannot See for quite a while, and finally I will get some time to do a deep dive. Clint Hill and Lisa McCubbin’s Four Days in November was recommended to me by a friend; I love history and it’s dealing with the assassination of John F. Kennedy and first person accounts of its impact through a variety of people and sectors. I’ve heard that it’s incredibly interesting and brings an entirely new perspective on historical revisionism. Edward K. Y. Chen’s Hyper-Growth in Asian Economies: I’m an economics buff so it’s just my thing. The Wealth Of Nations: just a classic economics reader of Adam Smith – it’s nice to read it without being told to read it. 🙂 And Haruki Murakami and Alfred Birnbaum’s A Wild Sheep Chase: A Novel is a lot of fun; I read the sequel first. I haven’t picked out a good summer read yet. Luckily for this list, I can start one of their suggestions! So many to choose from… which books do you love? Tell us! Top image: the Moon Shadows – Sashay sandal in black. Bottom image: the OG 82 – Dash and Dazzle sneaker in black and gold (at select Skechers retail stores).